As I have spent the last few weeks moving baby equipment around, putting away old baby clothes and ordering and finding the next size up for Florence, my mind drifted to starting from the beginning. We weren’t planning on baby number 4 so we had sold a few things and had handed down clothing to others. I was fortunate to have kept a few pieces of equipment as I’m a childminder by profession, so some things were stored in our garage. So with a lot of washing, wiping and test driving things were brought back out! I love this part of getting organised and nesting for the exciting arrival. When starting out again with buying baby essentials we have learnt to keep it relatively simple, but not compromise on good quality, and buy from friends or second hand selling sites. Baby Changing – we have this time used Pampers nappies as they suited Florence’s fit better. We now use subscribe and save on Amazon as it kept the price down. Water Wipes were a great game changer from the traditional cotton wool and water, especially for our busy household. For anyone new to these they are 99.9%water 0.1%fruit extract. Other supermarket brands are available, and although they don’t seem to be as pure they are considerably cheaper. We also bought these in bulk to keep the costs down. A good baby changing station is very handy especially if you don’t have much nursery furniture. We are short on space currently so we have a sturdy Mamas & Papas changing table from eBay with room for a bath bath inside it as well as shelves for changing items, clothing stored in boxes and cot pocket tidys that I adapted on the sides for storing muslin cloths, socks, bibs etc. This saved on buying another set of drawers etc for now. Clothing – With my last two babies I have kept clothing for at least the first 18 months pretty comfortable and simple. So this time around we made sure we had several long/short sleeved vests, sleepsuits and knitted cardigans. These are a mixture of brand new and second hand good quality brand items. Bath time – We purchased a 3 pack of Mothercare baby towels so we have a few to hand. Good to have several for baby swimming, and for when they have toilet accidents at bath time. We have used two different bath time products, Burt’s Bees Baby bubble bath and Burt’s Bees Baby multi purpose ointment which is 100% natural, and we are 8 months later just finishing the first pot. Florence hasn’t had any skin complaints and we love this moisturiser, and even I sometimes use it! These items are a little bit pricier than some obvious baby toiletries on the market but we made it more affordable by shopping about or buying bulk sized ones in Amazon subscribe. I feel that they are worth the extra pennies as they are good quality and last a long time. For the first time we haven’t invested in a bath chair as we have just held Florence in the bath. This gives us more space in the bathroom. Feeding- We bought a Tommee Tippee starter set in case I had any feeding setbacks, and as I have breast fed we haven’t needed to expand on this set. Muslin squares are very much used by us and this time around a swaddling square which I use for feeding, lying baby on and covering her up if it’s too warm for a blanket. We have this time bought a brand of Muslin and swaddling square called Molly and Moo which I would recommend. 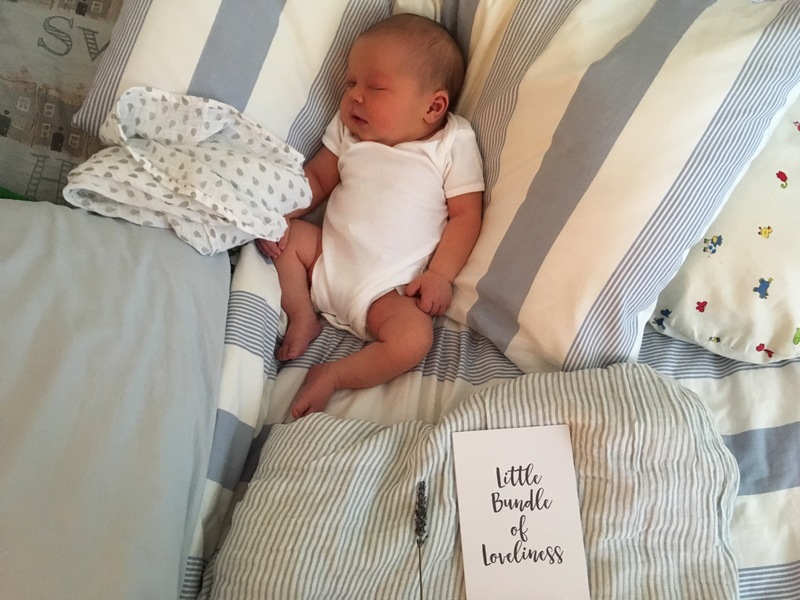 Sleeping – We have used a Moses basket with a good mattress with our first 3 and did plan on using it again until we heard that our neighbours were selling a second hand Snuzpod that was for sale. As she’s our last baby I decided it would be nice to give it a go and then we would be able to sell on for a similar price. These bedside cribs are great for having baby to hand for night feeds, and to make it easier to access baby in the night after recovering from childbirth (in my case a section). They are a bit pricier but so lovely to have the baby so close. Our only wish would have been that she slept a bit more in it than in our bed with us! Sleeping bags – only one of my babies has wanted to be swaddled the rest have slept in baby sleeping bags. There are various brands and different togs for winter (2.5) and summer (1.0-0.5) some brands such as Grobag come with a room thermometer strip that gives you a handy reading and guide to which tog and how much clothing to have baby in. Car seat – seek advice: there’s lots on the market and some stores will advise you and help fit them. We invested in a Bugaboo chameleon 10 years ago, we have added to it over the years with accessories and although it was very expensive it has certainly lasted. We also have a second hand Nipper out and about 3 wheel running buggy which we use for the woods. This has lasted very well and is very robust. My advice is invest in a good set of wheels either new or second hand as in our case they have been used for our children and childminding children and lasted well! Bouncy chair – we have had the same Fisher Price bouncy vibrating chair for all our babies as they don’t use it for long. This is handy for buying you a little time and sanity to get stuff done in the house or give your arm a rest. I would definitely consider buying this piece of equipment second hand as they don’t use it for long. Babywearing – I use a stretchy wrap and swear by it, it cost around £15 off eBay (Liberty Slings) and has been perfect for carrying my last two babies around. Dougie likes his Manduka Sling as its guy-friendly! There are plenty of YouTube tutorials for help on how to babywear correctly. Changing bag- lots to choose from and I always spend a while deliberating over what is functional and what looks good. This time around I was gifted a Storksak and I’m very happy with my choice. It’s plain navy and has an oversized handbag feel to it and is very practical. I will share my changing bag with you in a video in the near future! Hope this helps give any new Mummy or Mummy-to-be a quick run down on what I consider a good esssentials list to set you up for the first few weeks with your new bundle. "Daddy’s Peanut Butter Flapjack Recipie"
As a Mummy to five, this is probably the best list I have ever seen. Great advice here. Fab list, I agree about the bouncy chair – great to have but they grow out of them so quickly.